Bringing all of your dealership needs ‘under one roof’, Mentor DMS is the integrated solution built with usability in mind. From editing customer records to viewing director-level management reports, Mentor is built for comfort and speed, ensuring productivity at every level of your business. Packed with features normally reserved for bolt-ons and expensive upgrades, Mentor is a scalable solution. With hundreds of connections linking us with Manufacturers and third-parties, we pride ourselves on offering dealers the integration they have been calling out for. Whether you are a dealer principal or a technician, Mentor DMS is designed to deliver simplicity to every process from start to finish. Accessible across mobiles and tablets as we all as desktop computers and laptops, no device will prevent you from accessing the information you require. Handle tasks such as processing your inbound web leads, send direct customer marketing and send sales and service videos all without having to leave your DMS. Mentor DMS expands on the already capable Mentor CRM system to include full Service, Parts, Purchase and Sales ledgers, cashbook all with a fully integrated Nominal Ledger. The DMS solution offers unrivalled integration and will allow businesses to break free from from the old model of multiple providers for their CRM, DMS and Websites and bring them all under one product backed by our support help desk. Enhancing your sales process, without holding your sales team back. Delivering a simplified service process, integrating with your workshop and parts. The complete solution for managing, administering and reporting on your parts inventory. Handling all of the transactions that are taking place in your business every day. Fully-fledged management DOC allows access to every transaction by company, branch or department right down to an individual document level. Reduce re-keying information with integrated vehicle administration. Connecting with manufacturer hubs and third parties such as Autotrader, Experian and HPI. All the tools you need to manage your customer marketing via SMS, email and UK mail. We need just one hour to visit you at the dealership and meet with your management teams in the areas you are concerned about. Based on our discussions we send a short but detailed action plan on how we move forward. We put together a clear plan with measurable and obtainable steps. We work with your dealer leadership team to implement the action plan and make the gains we know can be made. We follow-up regularly to ensure the gains are being made, isolating any further areas that have potential and revisiting if required. 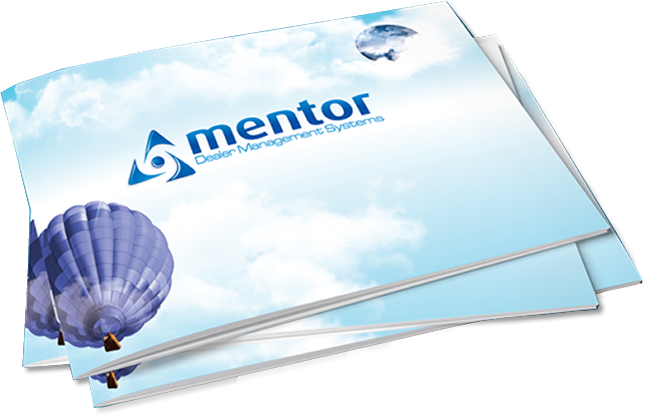 Mentor Systems specialise in software for the automotive industry, providing vehicle dealers with cost effective Contact Management and DMS software solutions. With over 10 years of experience and supported by manufacturers and industry specialists, we provide a complete package to help you run and manage your dealership.